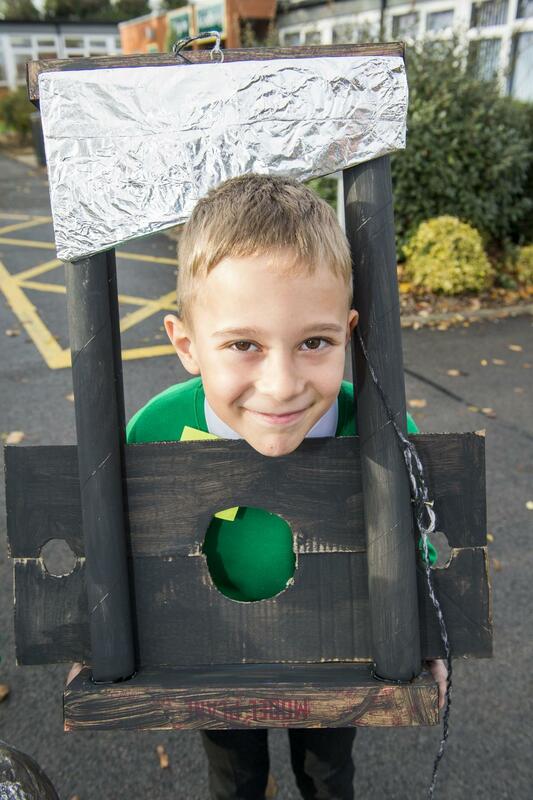 Year 3 pupil Bozhidar Georgiev, who made a guillotine out of cardboard for History. 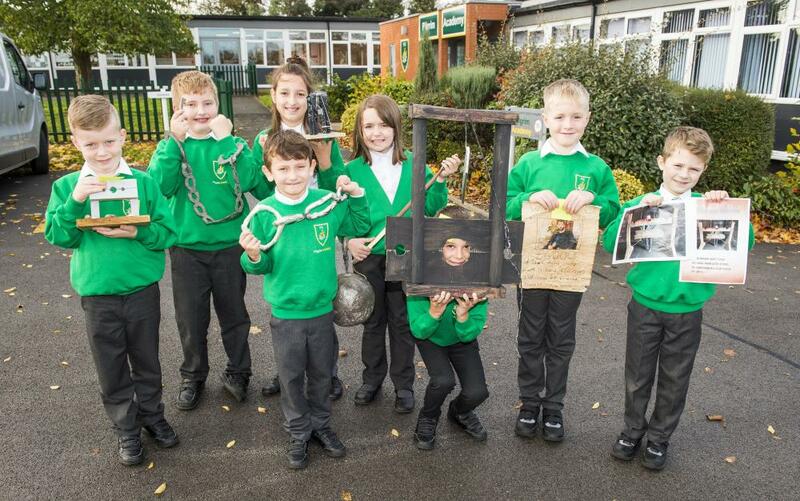 Crime and Punishment in Tudor and Victorian times was the theme for Year 3 and 4 History pupils at Pilgrim Academy. They made their own versions of guillotines and a ball and chain from cardboard. Pilgrim Academy pupils with some of the items they made during their History project on Crime and Punishment. They are: (l-r) Jake Swift, Zak Deacons, Kanye Brophy-Metcalfe, Zara Marcheva, Libbie Boyes, Bozhidar Georgiev, Billy Wilson and Adam Jackson.